After accomplishing a major record in Hot Rod Magazine’s Drag Week 2007, ProRides (www.goprorides.com) is about to embark on a new level of performance never seen before. Not only did ProRides head to Drag Week with the intention of beating the old record (think mid-low 8 second 1/4 mile times! ), but to finish the event, driving 1,000 miles while pulling a trailer. While the bets were being placed that the clean black Camaro wouldn’t even finish the week, the car shook the hot rod and race world by posting a first pass E.T. of 7.64. Truly the pass heard ’round the world! Granted, the ProRides team was as surprised as anyone, and the venture served to underscore the positive results that come from combining great companies and partnerships with a thorough process. So many have asked “what is next?” After talking to Rob Kinnan of Hot Rod Magazine at this years Drag Week, the ProRides crew had the idea of building a 6-second ET capable car to drive the grueling 1,000 mile Drag Week course. Imagine…. a 6 second ET vehicle driving 200-300 miles per day while pulling a trailer!!! Unheard of, and a true torture test for the components involved… While many have claimed they have a street car that is very fast and even some that state in the 6 second E.T. range, it’s obvious that anyone can idle around at a local car cruise or show. The true test is actually driving the car on the street. This is the reason why the “Fastest Street Car in America” can only be crowned at this event. Hot Rod Magazine’s Drag Week is an open forum and anyone can register for the event, truly allowing virtually ANY street-driven car to prove its mettle, and crowning the fastest in the land with this legendary honor. 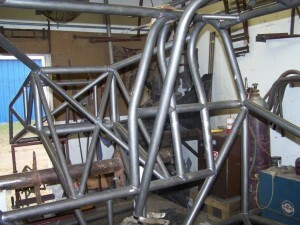 SunCoast Racecars is currently building the chassis to be on display at PRI 08. The rolling chassis will be on display 8 feet in the air for people to observe. SEMA 09 – Complete car on display with GearVendors which is in Hot Rod Alley accross from Hot Rod Magazine and Source Interlink Media. ISCA indoor car shows during the 09 / 2010 fall and winter events. 2010 Drag Week – Rewrite history! 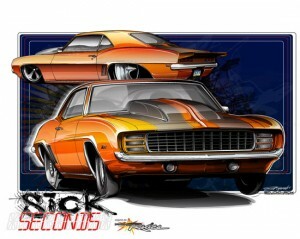 Coverage of the build will be inside of Hot Rod Magazine’s “Project Garage” section and on their website. ProRides is also working with Scott Killeen of the BuildBook series (www.buildbookusa.com) to document the entire build. If you’ll be at the show, check out the rolling chassis at the Performance Racing Industry Trade Show next week (12/11-13), in the SunCoast Racecars Booth, # 363 South Hall. I’ am looking for someone that can build me a 69′ camaro like the sick second camaro car ? Can you provide info please?